If you’re looking for something fresh and light that packs a nutritional punch, look no further. 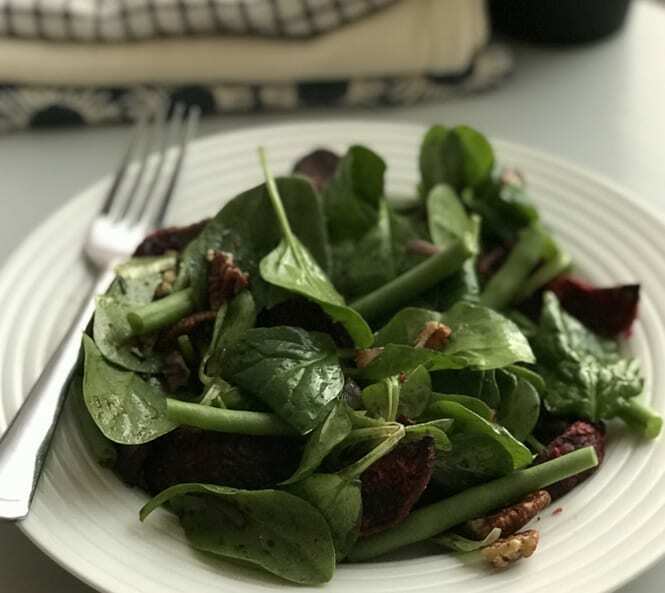 Our Beetroot & Green Bean Superfood Salad combines the earthy flavour of our Roasted Beetroot Wedges with the wonderful texture of pecans, which will leave you satisfied until your next meal. Cook the Roasted Beetroot Wedges as per cooking instructions on the pack. Boil water and cook the green beans for a few minutes, ensuring they maintain their crunch. In the meantime mix the maple syrup, chilli flakes and pecans. Place on a pan at medium heat and cook the pecans until caramelised. In a separate bowl, mix the leaves with the olive oil and balsamic dressing until fully coated. Mix the beetroot, green beans, pecans and leaves together to make for a deliciously sweet and healthy salad.